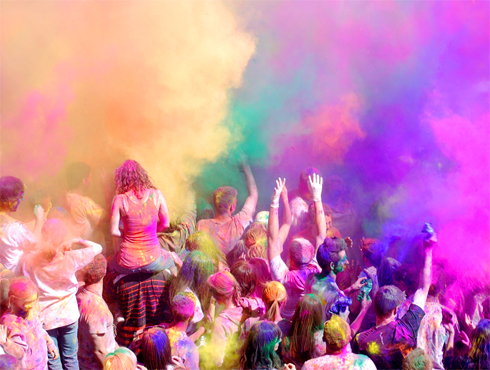 Holi is the festival of joy and it is celebrated with pomp and fervor throughout the country. 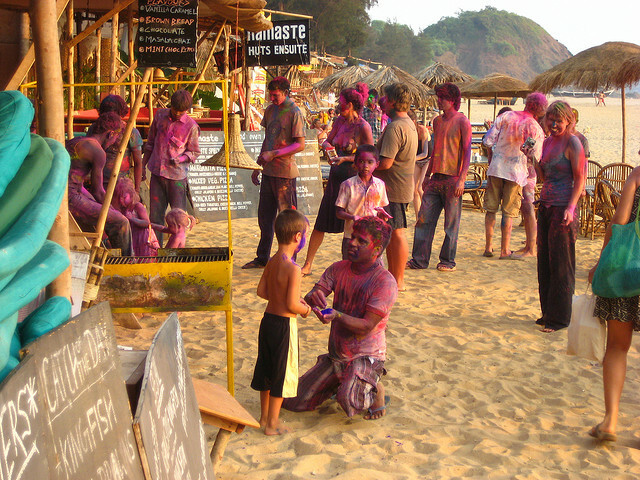 Enthusiasm and zest of the celebrators reaches a peak level during the celebrations of Holi festival in Goa. Honored as the festival of colors rang panchami is observed on the fifth day of the month called Panchami. These festivals show a root deeply embellished in the historical and cultural backgrounds of Hindu religion. Holi is nothing but the symbolic celebration of victory of Good over evil. Holi is also known by the names Dhulivandan, Dhulandi and Dhulheti. The historical origin of the festival takes us to the legend of Bhakta Pralhad who escaped the grip of demoness Holika who took him into fire, Holika was burned in the fire but Pralhad escaped. In southern India it is referred to as Kama Dahanam. Goa the melting pot of many cultures displaying the dominance of Hinduism and Christianity celebrates this festival of vigor with real Goan spirit. It offers lots of dedication towards celebrating many colorful festivals of the region. The Goan culture is more liberal and teaches its inhabitants the great path of following a secular way of life. 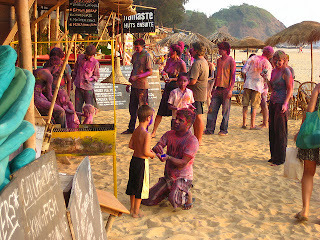 Goans are observed to be on the forefront regarding the Holi and Rang panchami celebrations. This spring festival is typically referred to as Shimgo by the locals. It is celebrated in the most religious and traditional way. Spreading of Gulal by the masses makes the atmosphere more enchanting which is supported by the roar of the drum beats taking the celebrations on high spirits. Cultural events in Goa during Holi festival are witnessed in the form of troupe performances and cultural dramas based on the mythological legends. Panaji organizes a huge parade and observes descent Holi celebrations in this city. Ancient temples in Goa are beautified with illuminations and special events are arranged during the festival. The most dazzling rang panchami in Goa is observed at Margao, Mapusa, Panaji and Vasco, whereas Damodar temple at Zambaulim celebrates it by the names Fatorpa and Zambaulim gulal. Goa normally gets flooded with tourists during festivals but visitors have lot of choice in selecting the location and type for their stay. We would like to invite you to Colva beach the authentic beach destination of Goa, for an invigorating stay in vicinity of the beach at our Hotel Graciano cottages. The hotel is beautifully decorated during festive time and we provide every facility to enjoy a stupendous stay while exploring the beauty of the festival. © Copyright 2011. Graciano Cottages, Goa ( Best viewed in 1024 x 768 resolution ). Simple theme. Powered by Blogger.